It’s that time of the year again. The days are getting shorter, darker and colder. Christmas lights and decorated trees are appearing all over the city. It is the perfect time to be bundled up on the couch with a hot chocolate in your hands and Christmas music playing in the background. 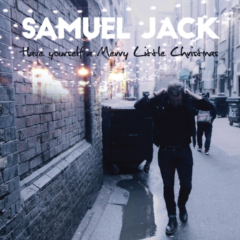 Samuel Jack just released its new EP Have a Merry Little Christmas including Christmas classics such as Let It Snow and Who Took the Merry out of Christmas. It is the perfect record to listen to on a snowy day! You can listen to the EP now on all digital platforms.